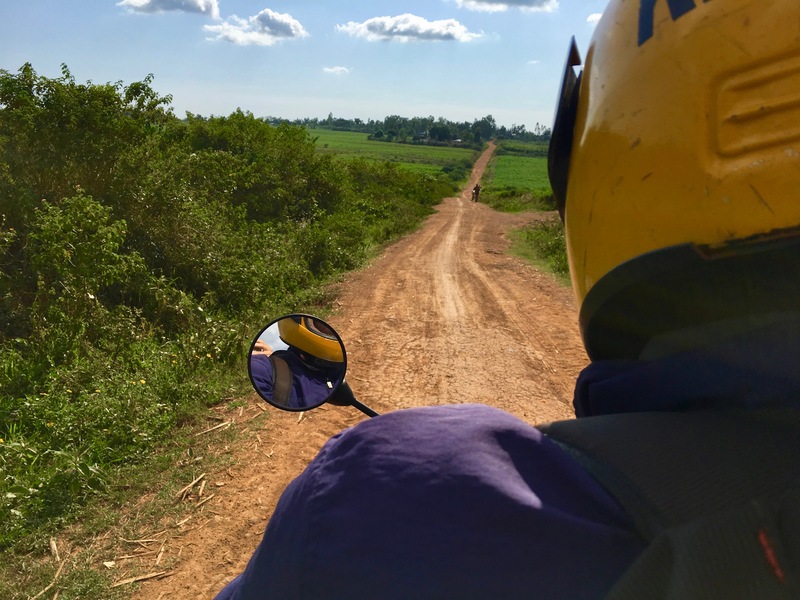 Moving to Kenya has meant many changes in my everyday life – such as in my modes of transportation. I’ve gone from being highly mobile on my own bicycle to being the boda boda [motorbike] passenger, and from rushing across the city in a metro to cover large distances in matatus [mini-bus]. I’ve realized that the journey itself can be the experience. On my very first day in Kenya, I was thrown into the local way of getting around. After arriving in the village, my colleague and I found out that I couldn’t get a Kenyan SIM card here. As a foreigner, I would have to go to a bigger town. I was desperate for my SIM card and data, so my colleague took me on his boda boda [motorbike] all the way to Busia: more than an hour away. I remember smiling all the way, feeling the wind in my hair and sun on my face. The views are beautiful with the lush landscape, hilly terrain and red dirt roads. 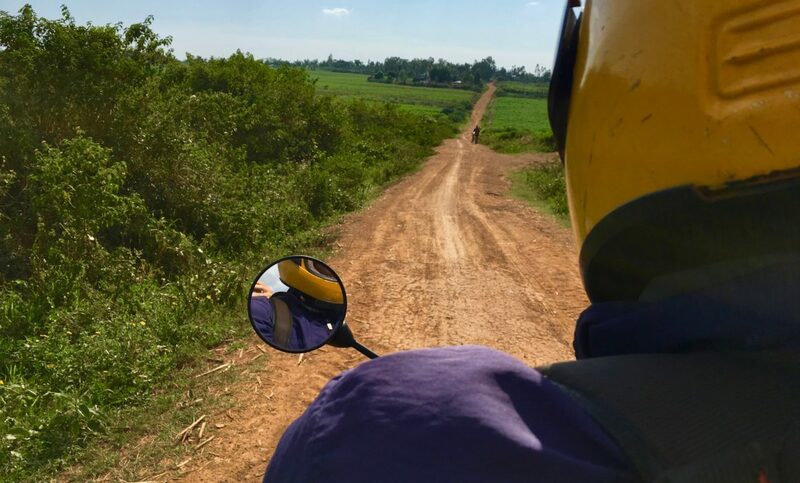 The boda boda is a practical option to get around in the countryside. 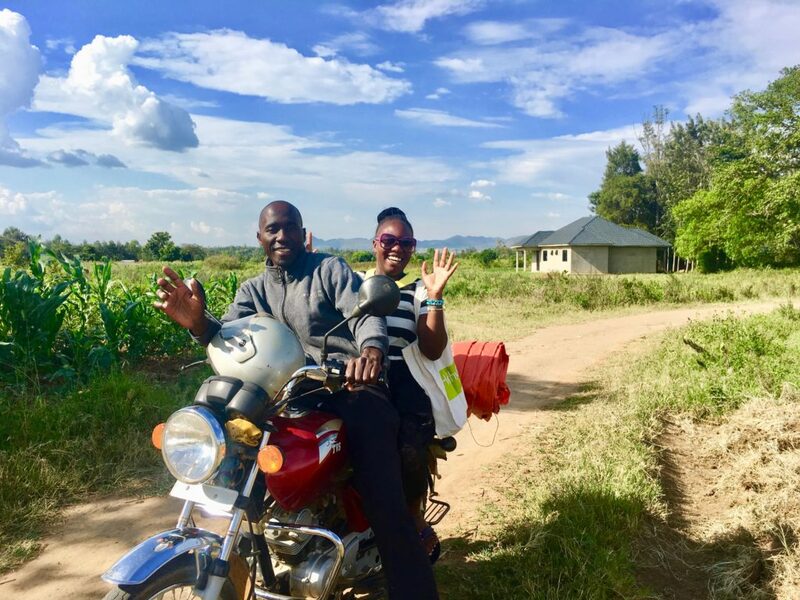 Momentum’s field officers get around to our farmers on boda bodas, and I would often join them sitting on the back. 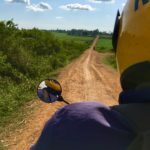 It’s usually very bumpy on the narrow dirt roads and almost impossible to move around in the rain, when the roads get all muddy and slippery. Boda bodas also function as taxis. In every town you will find a boda boda shade: a shelter where boda boda drivers hang out waiting for customers that need a ride. Often the boda boda drivers are talkative and as they know the local area well, they often tell me about local life. When I finally got my SIM card on my first day in Kenya, I had to take the matatu [mini-bus] back. These busses are usually made for 11 people apart from the driver, but they can be packed with more than 15 passengers. A matatu drive is often fast, squeezed and a bit smelly with all these people in the heat. The Matatus are colourful mini-busses and inside there is usually loud music playing. 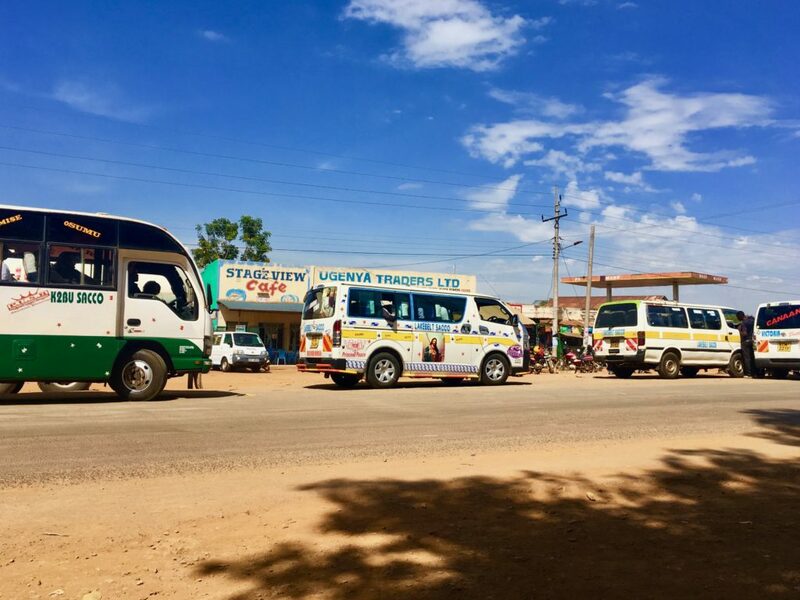 At the countryside, I would often take the matatu to either visit our project in Busia or to go to the city of Kisumu. Sometimes these rides actually remind me of public transport back home. People are quiet, keeping to themselves and often on their phones. But when someone’s chicken complains on the ground or we drive around with open doors, I’m quickly reminded where I am. If you are boarding the matatu from it’s starting point, it won’t leave before it’s filled. That usually takes around 30 min. The best is to get a matatu window seat and be able to see the life along the road as the matatu rushes by. They usually drive at full speed and some will stop every other minute to drop off or get new passengers. During the stop, sellers might come to convince you to buy their bananas, maize, groundnuts, sweets or sodas. Then it’s practical to be able to reach your arm out of the window and buy the sweetest bananas you can imagine. When I finally reached the village again after more an hour in the matatu and another boda boda taxi ride, I was exhausted. It can be tiring to travel the local way, but I also find it highly enjoyable. 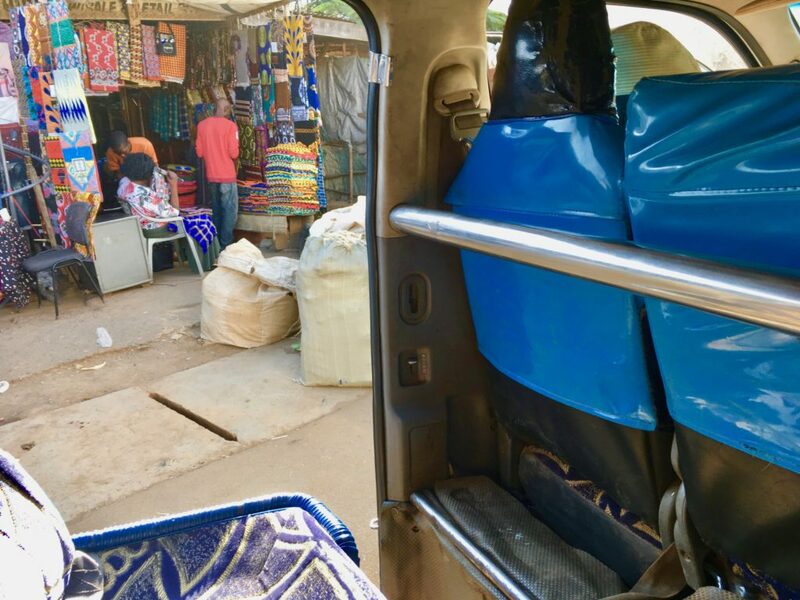 With the beautiful views, chickens under your seat and snack sellers – transport time does not have to be boring time.